When the California Highway Patrol (CHP) recently called The Salvation Army, Alicia Morales headed for the freeway. A homeless camp there received an eviction notice and the CHP invited the Army to be there with services for those in need. Morales, as the clinical director for The Salvation Army Transitional Living Center and Homeless 2 Home programs in Ventura, Calif., had plenty to offer. 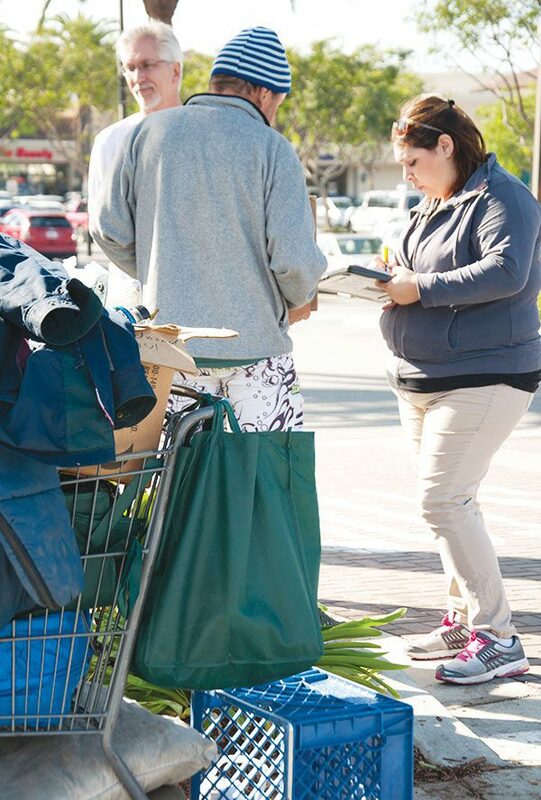 Morales works to assist individuals like this woman who are living on the streets of Ventura, as well as those who are at risk of homelessness. And in Ventura, service providers are taking a new approach. The Salvation Army is one of four agencies in Ventura that operate Homeless 2 Home as part of a continuum of care in the county aimed at assisting individuals in attaining their highest level of independence. At monthly team meetings, Morales said the street outreach workers from each agency collaborate on those each has been in contact with that month, what services were provided and what approaches could be tried. They use engagement cards, modeled after the police field interview cards, to track the chronically homeless. 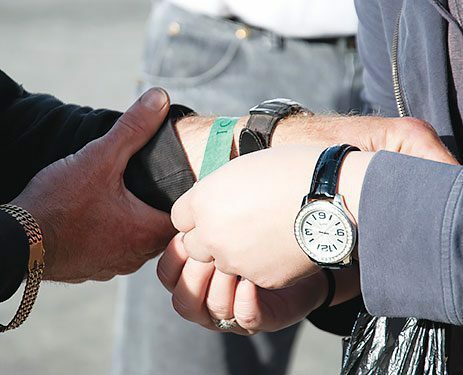 The U.S. Department of Housing and Urban Development (HUD) changed its funding requirements in 2011 to prioritize street outreach, housing first and rapid rehousing models as best practice approaches to ending both episodic and chronic homelessness. 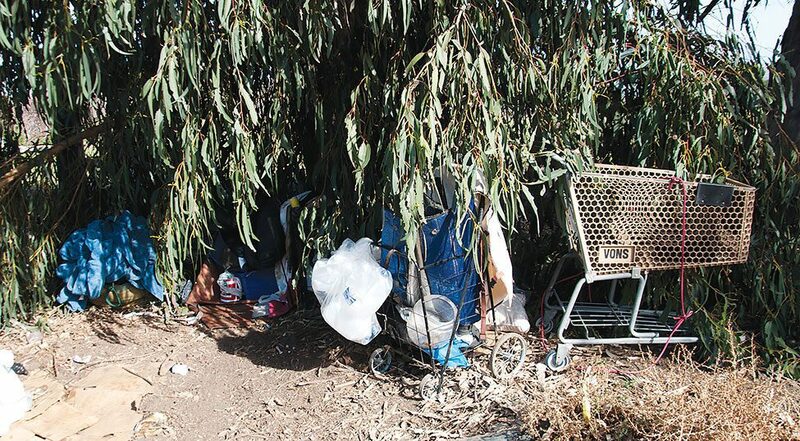 Communities—including Ventura—that proactively adopted these changes have already seen a decline in chronic homeless numbers. 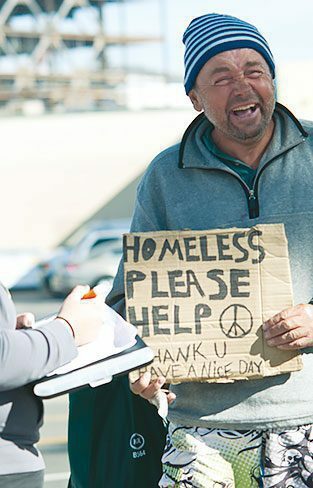 According to the Ventura County 2013 Homeless Count and Subpopulation Survey, 1,774 adults and children were homeless at the time of the count, representing an 8 percent decrease since 2012 and the lowest total count since its inception in 2007. 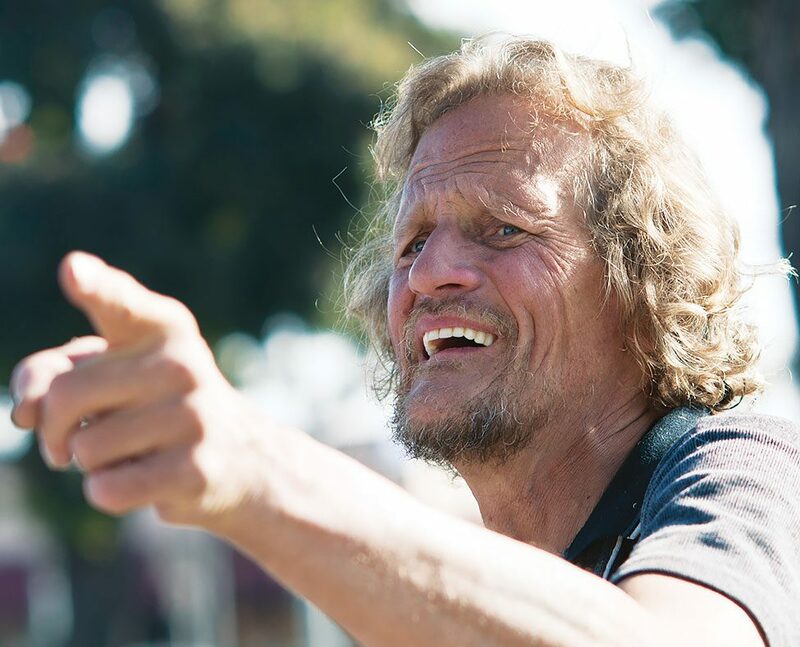 Since 2012, the Ventura County and City of Oxnard Homeless Services Continuum of Care systems began implementing a Housing First and Rapid Re-housing approach, and successfully developed over 100 units of permanent supportive housing. There are 12 shelters and 13 transitional housing programs in the area that help individuals and families exit homelessness every day. The Salvation Army in Ventura operates a transitional living center downtown with 50 beds. In the past two years, Orth said the Army has moved roughly 200 people off the streets and into housing. That’s where Amy Luoma, The Salvation Army’s Homeless 2 Home Housing Specialist, comes in. This year marks the 50th anniversary of the War on Poverty, as declared by President Lyndon Johnson. According to government data, the rate of poverty is about 16 percent, with some 46 million Americans living below the poverty line of $23,492 per year for a family of four. In January, The Salvation Army signed on to work with Catholic Charities USA, Feeding America, Save the Children, National Alliance to End Homelessness, Lutheran Services of America, United Way, and The Alliance for Children and Families to support poverty-reduction initiatives. The Army’s street outreach team of four is assigned to Ventura areas that match police districts. They make repeated contact with people in the same area, and get to know law enforcement assigned there as well. The team also works through a criminal intervention program to offer assistance to someone with repeated minor offenses. The Army is now looking now at sustainable funding sources outside the government, including an endowment structure, and continues to work with community partners. As a member of the continuum of care, Orth and roughly 50 other organization representatives sit down once a month to discuss how the group can eliminate homelessness. Another group of local agency executive directors, Ventura County Together, meets to focus on how to reduce poverty. Back on the side of the freeway, Morales set up an interview for the woman at the Transitional Living Center. She came 30 minutes early, ready to be housed. In the days that followed, a case manager helped her get a Social Security card and ID, and the woman found permanent housing within five days.